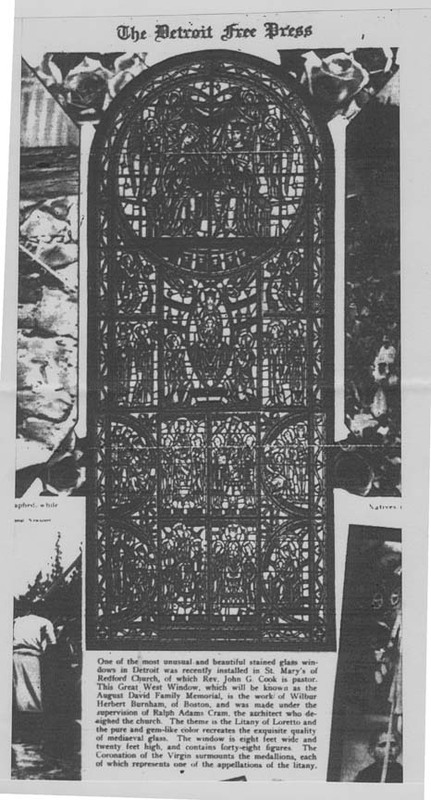 Brief Description of Subject: In the works of Wilbur H. Burnham, this window is listed as "The great west window at St. Mary's of Redford". His signature appears at the bottom right of this window. 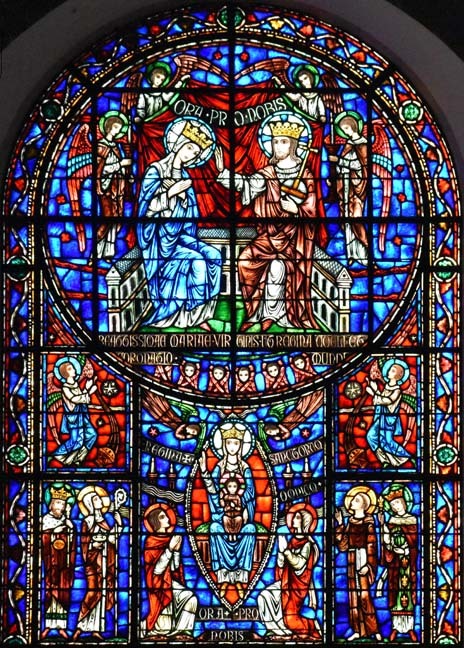 Quote from the Detroit Free Press of 4/27/1927: "One of the most unusual and beautiful stained glass windows in Detroit was recently installed in St. Mary's of Redford .... The theme is the Litany of Loretto (sic) and the pure and gem-like color recreates the exquisite quality of Medieval glass .... The coronation of the Virgin surmounts the medallions, each of which represents one of the appellations of the litany." A litany is a prayer in the form of a statement (S) and a response (R). 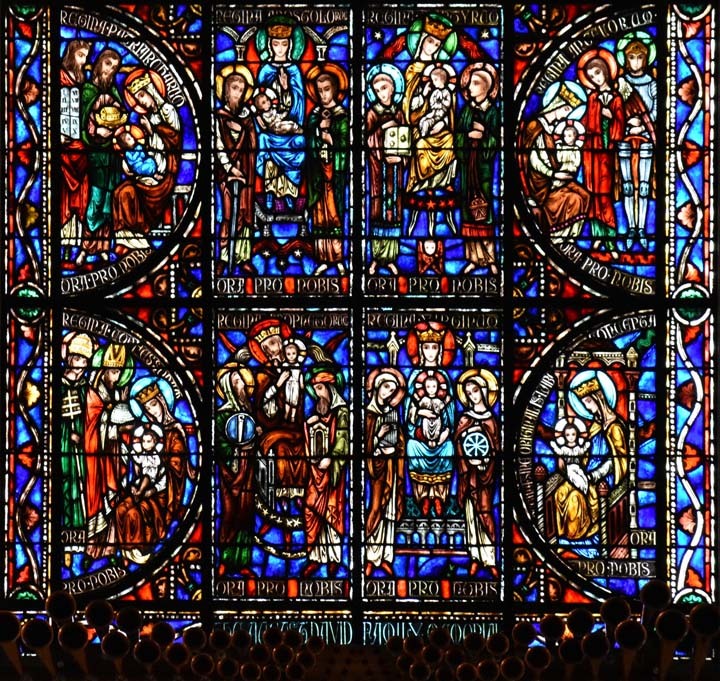 In this window there is a total of 9 statements and responses from the Litany of Loreto and, where applicable, figures representative of the statement.